This script will generate a set of random NPCs in a plain text file, including basic equipment and personality characteristics as detailed in the 1e Dungeon Master’s Guide. Please note that there is no logic in the script to avoid contradictory personality traits; either think of a reason for the contradiction or pick-and-choose traits.The primary use of this script should be to create NPC parties for random encounters or to populate towns/cities. Results will not be validated fully against the AD&D 1e rules if you change the class, race, or level settings. If you need all your paladins to be human, either leave these drop-downs alone or specify both class and race. 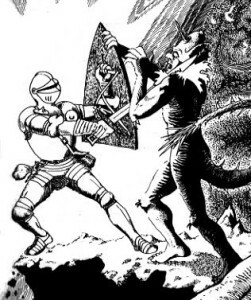 It is possible to have malformed results if you choose some combinations of class, race, and level not permitted in the 1e rules (e.g., a 30th level monk). Equipment allocation (including magic items) is based on the rules for creating higher level PCs in the DMG; spell selection is determined by a semi-random subroutine that ensures casters have something useful memorized. This is a complex script and there are many complex nested loops and if/then clauses to model the equally byzantine rule dependencies in AD&D 1e. In other words, it is quite possible that there are systematic errors that only arise under very specific circumstances. I may not have encountered or noticed these errors and would appreciate a quick note if you notice such things. There was a problem opening the file /tmp/npcs.txt. The file you opened has some invalid characters. If you continue editing this file you could corrupt this document. You can also choose another character encoding and try again. Name: Souni Hon\DFhoueth, it is the “/DF” that was highlighted red in my text editor. Other than that, this is a pretty shiny NPC generator, but one fighter, human, female was 110 years old, and in parentheses (middle aged)! I get a brief flash 0n my Windows 7 desktop monitor at the bottom showing a ribbon saying “Waiting for Dwarvenauromata.” and then nothing as far as a download. Yet it works fine on my Windows 10 la[top. What gives? That’s very odd – especially since I only have Windows 7 machines myself. Also, everything happens server-side, so your OS should not matter. It might be a oversensitive firewall issue on your Windows 7 machine, but I will double check things on my end. Wow this is phenomenal. There seems to be nothing as extensive like this out there. quite a treasure for us old 1e runners. I’d request some additional features if one is inclined. Include classes from Unearthed Arcana, (at least the Barbarian). A 100 results dropdown option. A resulting list thats numbered. Love it. Very useful. Thank you.